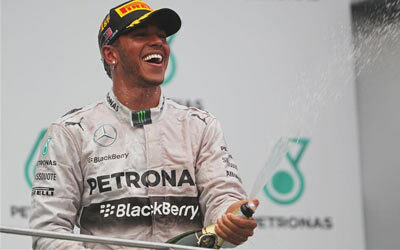 Lewis Hamilton has won the second Grand Prix of 2014 by dominating the Malaysian Grand Prix. His Mercedes team mate Nico Rosberg ran the entire race in second place, fending off Sebastian Vettel who completes the podium. I was surprised that a new thread hadn't been started yet, so here it is. Upgraded Mercs vs more-reliable Red Bulls, and Alonso starting from 5th (they should just paint his name on that slot). Should be good. I have very little faith in Ferrari's abilitity to develop their way into competitiveness during the season, but if it rains, I have good hope that Alonso might take a lucky win here. Mercs will win by ~30s with fuel to spare. 6 or 7 out of 8 renault powered cars will retire by lap 30 because of conditions in malaysia with both RBs 100% to be on that list. Mercedes 1-2, fight between McLarens and Williams for the 3rd spot of the podium, one Red Bull to retire. If the weather is good i think we might see the first time a race ends where the Top 8 guys are all color coordinated across the finish line. Hamilton for pole and win. Bottas to get his first podium. 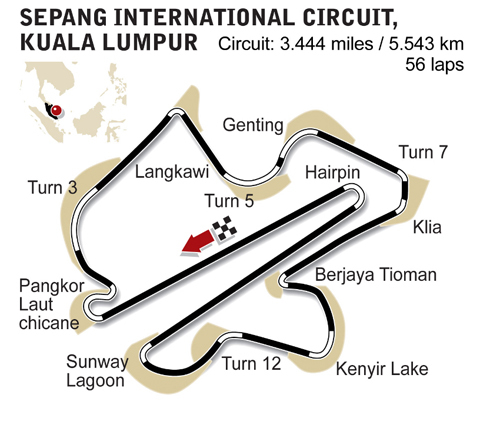 Thinking more cars will break down at this race due to the heat in Sepang. Let's take a look at strategy! Been a while since we did that. Melbourne was done using OOP, but I'm reasonably confident that OP was possible. In hindsight some teams could have gambled with taking on mediums at the safety car and running to the end. Red Bull to be dominant in Sector 2 and then get totally cleaned up on the straights. Some pointers for this race (listing contenders for win). Fuel Consumption: I guess, now teams have a fair idea of their individual fuel requirements. Merc, On a track which has the reputation of high fuel consumption (Melbourne), Mercs have come out a happy team. Red Bull, with Ricciardo's episode, have a lot to think, which might put them on a bothering spot for this race. Williams, similar to Merc, atleast from Bottas' charge, doesn't look like have problems on fuel part. McLaren, again with Merc engine, they seem to be in a good place. Doesn't look as good as Williams in this aspect as understandbly, Bottas was charging through the field with lots of overtaking moves, means he was using more fuel and was still not having issues. Ferrari, Sobre, absolutely Sobre, looks like their only target was to finish the GP with both cars on track. Extremely conservative running for both cars, not attempting aggressive drives. Look like they were justifying the rumours of fuel in-efficiency. Performance: Too early, but some fair idea. Merc, DOMINANT. It would have been an embarrassing situation for all teams and for Formula 1, had Lewis been there in picture too, could have easily finished few more seconds faster than Nico. They would continue to concentrate on adding performance for this race. Red Bull, Real Challengers or will they be on back foot due to fuel and Seb's engine issues? 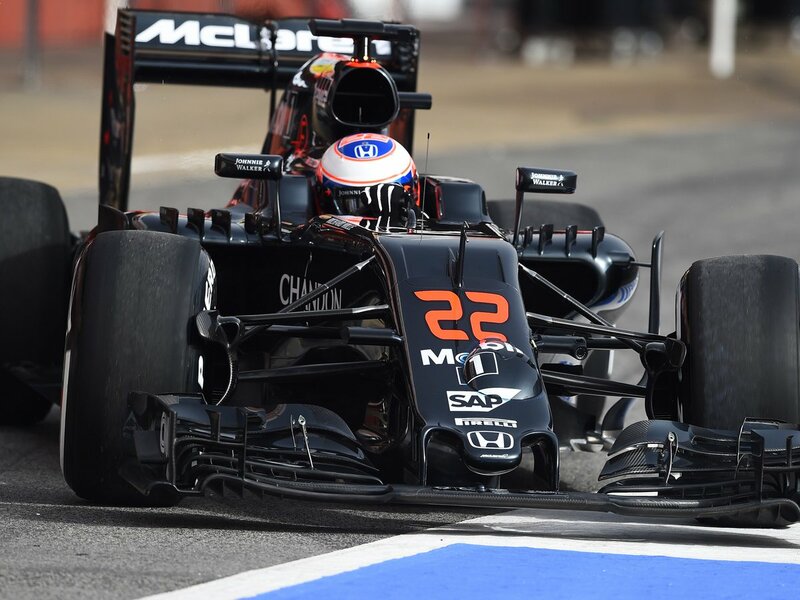 McLaren, Look decent on long runs without anyone else troubling them. They will continue to search more performance. Ferrari, Oh My God, how long would they want to Sandbag? On the face of it, Alonso must be a dejected man to be handed over another dog. Kimi would be more happier, looking at what is going on at Lotus. Williams, the real challengers for Mercs. Need to sort out Qualifying issues, otherwise will get lost in mid-field battle. Merc, continued with their reliability issues. Lewis is the one enduring all the problem, from testing to race. Good thing is, they continue to make statements that their issues are known and can be fixed. Red Bull, Looking at what happened to Seb, they will continue to slog to rectify problems. Doesn't look ready to challenge for wins yet. Williams, they should be watching out for backmarkers, screwing them from behind. Ferrari, absolutely reliable, can be good pick up trucks. Fernando would be thinking of advancing his talks with McLaren. Predictions for this race: Merc (Lewis, if he is lucky) for pole and win. Williams - THE ONLY CHALLENGER, unless Red bull surprises for second GP in the running. On a side note, is it me or anyone else feels that, while watching a car on board, it doesn't feel like anyone is running full power or even close to attack. May be engine is quieter, but still doesn't sound full on. Without being on full power, there is so much lack of grip. If someone can find a silver bullet producing loads of downforce, they can kill the competition with full power. Last edited by prince on Mon Mar 17, 2014 9:46 am, edited 2 times in total. Safety car cut most of Rosbergs gap in Aus, and his time running faster than everyone else, could easily have won by at least a minute. I reckon a Merc 1-2 (reliability withstanding of course) and then Williams fighting for the last podium during the race. Hamilton to stick it on pole from Rosberg by two tenths, Both of them to be clear by at least 8 tenths.